British tuner takes a knife to the Ranger Rover's rear doors before adding a widebody kit. British aftermarket specialist Merdad has followed up its two-door Porsche Cayenne Turbo by axing the rear doors of the 2013 Range Rover. 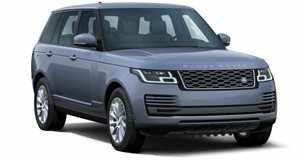 Dubbed the Highland GTC, the modified Range Rover boasts extended front doors, a set of wheel arches that widens the luxury SUV by 92 mm, a set of side skirt panels, twin air-vents, and a carbon-fiber rear bumper, diffuser and tailpipe deflectors. There’s also a new roof with spoiler, a smaller spoiler below the tailgate, and a sports suspension that lowers the RR Highland GTC by 40 mm. The tuner offers buyers a choice of 22- and 23-inch alloys, a custom exhaust, larger brakes, and a bespoke interior. Merdad has priced the Highland GTC from $209,000 for the 3.0-liter Range Rover up to a whopping $485,000 for a 700-horsepower GTC Range Rover Coupe Racing 4 Seater. Of course it's not the only two-door Land Rover out there, so if that price seems too high but you like the sportier profile, you could look to a Defender, Evoque or old Range Rover when they actually made them with two doors.